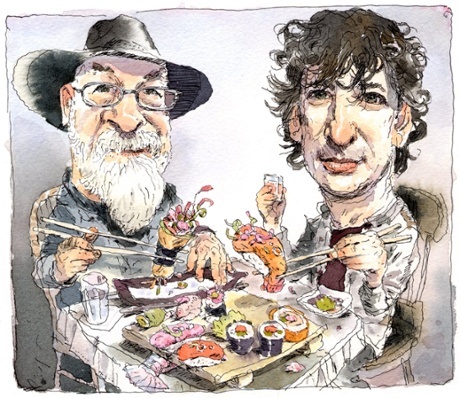 Not a particularly Otherwhilish update this but I wanted to share Neil Gaiman's article for The Guardian about his friend Terry Pratchett. The article - warm and sad and unflinching in the way Gaiman does so well - is a great reminder of the way that anger can power writing and particularly comic writing. There is a deep hatred of injustice running through pretty much all Terry Pratchett's novels (particularly the Sam Vimes books). In a world in which we are all encouraged to see ourselves as individuals and to forget all those others without whom it would be impossible for us to survive and thrive, that's exactly the kind of hatred we need. Among the biggest hazards of my writing life are gargoyles. I suspect that sentence needs some explaining. As you've probably guessed, I'm not talking about the stone grotesques that hang off the side of old churches and cathedrals and have a tendency to fall on vicars, squires and the like in rural murder mysteries. I'm not even talking about the gargoyles that come to life in horror movies. "Gargoyle" is the best term I've found for the ugly lines, phrases, sometimes whole scenes or chapters that crop up in one's writing (or my writing, anyway) from time to time and absolutely refuse to budge, no matter how many times you try to edit them away. Having just chipped a particularly persistent gargoyle out of a script, I thought I would share some thoughts on gargoyle ecology - how they are born, how they survive and, most importantly, how to get rid of them. How then are gargoyles born? There are several breeds of gargoyle, each born in a different way. The most common is the "Patch". These are born when you need to press on through a piece of writing - because of a looming deadline, say, or because you know there's a "really cool bit" that you're desperate to write lurking just a few more sentences away. This sort of gargoyle is slapped together quickly, an ugly thing meant to hide what would otherwise be an even uglier gap. It's always supposed to be short-lived but give it the slightest chance to stick its claws into your writing and there's a risk it will stay there forever. The next type of gargoyle is the "Autopilot". These are created by your hands typing away while your mind is looking elsewhere. They're the passages that just haven't had the same level of care lavished on them as the rest of the work. Gargoyles like this are usually relatively harmless and when examined close up may even seem quite pleasant but when they're viewed as part of an overall structure, they make the whole thing look lumpen and unbalanced. The worst type of gargoyle is the "Mirage". Sometimes while trudging away beneath the harsh sun on your journey to the completed script/novel/sketch/&c your brain becomes a little addled. You think you see a beautiful, wordy oasis, full of perfect imagery, elegantly expressed. In fact, you've just found a truly misshapen bundle of words, full of ill-fitting ideas, exhausted clichés and inaccurate metaphors. Unfortunately you just can't see it. You stick it proudly in your script, convinced that anyone who comes across it will love it. 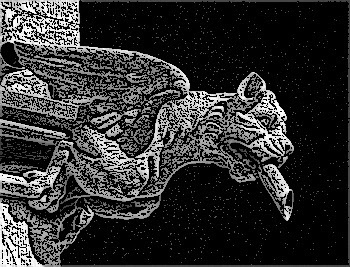 How do these gargoyles thrive and survive, making their way through successive edits while all about them is being put to the sword (see The Jabberwocky Guide to Editing)? The answer is that all these Gargoyles rely on one of the most powerful magics of them all, namely Cognitive Dissonance Reduction. Stronger than any elvish glamour, CDR is the thing we use to minimise our discomfort - our "Cognitive Dissonance" - when we hold two conflicting beliefs. CDR is the stuff you use to convince yourself it was right to cheat on that test. It's the stuff that keeps you playing the lottery even though you know you've more chance of being struck by lightning. It's the stuff that swirls around the internet as people devise ever-more-complex conspiracy theories and bend and break facts to make the world conform to their view of it. It's also the stuff that lets gargoyles lurk somehow out-of-the-way even as they sit in plain sight - making your eyes skim over them as surely as any cloak of invisibility. So, how do you get rid of a gargoyle? The first thing to do is to identify them and that's both the simplest and hardest thing in the world. The truth is you almost always know when you've created a gargoyle. There's a twinge, a slight feeling of discomfort (that Cognitive Dissonance again), some part of your body letting you know that the thing right in front of you is ugly and needs to be got rid of. Even if you don't feel the twinge when the gargoyle first appears on the page, you will do the next time you see it. And that's when you have to strike. One of the gargoyle's favourite tricks is to convince you that you can deal with it later, that there are more urgent, more egregious, errors to be erased first. Don't fall for it. Hammer that thing out at once. Don't be afraid. If you're worried that you may have mistaken a carved angel for a gargoyle, still chip it away. You can always put it into storage for later. Never forget, your ultimate goal is to show your work to other people. You want them to gaze in wonder at its beauty. The last thing you need is for them to walk away shaking their heads and sighing at the presence of all those gargoyles. Everyone has heard of the Heart of the World, of course they have. 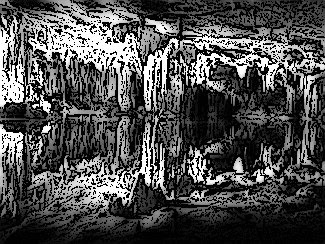 It is the great gem that hung above the Mountainsbreath Throne1, its light waxing and waning over the decades. 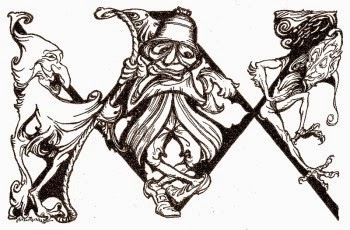 It is the symbol of the Kings and Queens of Otherwhile. It is the stone whose destruction would mean the End of All. But that is merely what everyone knows. Where did the gem come from? Why has it been unseen since the Battle of Lohss? These are the questions the wise would ask. But whether these questions can be answered and whether those answers will be true, that is a matter I will leave you to judge. Many authorities say the Heart of the World is a gift from the Stars themselves, symbol of an ancient pact between those creatures of the Sky and our World below. Others have claimed the Heart was a sign left by The Absented, a promise that She or He or It would one day return. Those who make such a claim are, of course, heretics and their theories are unworthy of serious consideration. Others say the great gem is but a fragment of the World's true Heart. Those others, I believe, are correct. They say too that there have been many such fragments and that the jewel that once hung above the Mountainsbreath throne is but the latest in a long sequence. In this too they are correct. A few of these sages2 say that the first of these splinters came into being thousands of years ago and that the tale of its birth is the tale of The Woman Who Broke the World's Heart. They say also that the splinter was brought to Otherwhile over a millennium ago by the three Queens of Day and that they wielded its power to create the Palace of Days and to build the army of Otherwhile and to conquer lands from Vassel to Kemt and Oscurys to Flesch and even to bend the first Empire of Shende to their will. They say further that some time in every five hundred years each splinter of the World's Heart would dwindle to almost nothing. And then The Queens of Day would journey to The Spine of the World and there follow the secret paths that lead deep beneath the mountains until they reached the cavern at the centre of the World, where they would carve a new gem from World's True Heart, ready to wield it once again for Otherwhile. Lastly these sages say that to toy with the Hearts of Worlds is a very foolish thing. And this is proof that sometimes all of us, or almost all, can have the wisdom of sages. Hello reader! As ever, sorry it's been so long. While life and work have been chugging along, I find I've managed to notch up six or seven half-written blog posts but somehow haven't found the time to whip them into shape. I dropped a stone into the well. Down & down & down it fell and still no splash. And then, so faint, a voice said "Thank you"
I promise the next update will be longer and, I hope, arrive sooner. Until then, all the very best!